Unlike many other general practice law firms, at The Law Offices of Michael P. Burakoff we are dedicated exclusively to practicing personal injury law. This means that we are able to focus on providing you and your family with the legal knowledge and skills in trial and negotiation that are necessary to securing full and fair compensation in any kind of personal injury matter. Beyond this focus and dedication to a single area of New Jersey law, our firm believes in keeping our clients as well as their families highly informed and involved throughout the legal process. 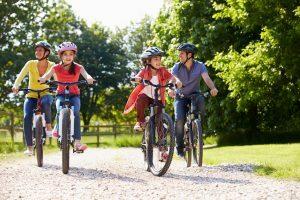 This emphasis on also working with the families of our clients, and not just our clients individually, is what truly sets us apart from other personal injury law firms in the Morris County and Sussex County areas. We understand just how stressful, concerning, and difficult accidents and injuries can be for the victims as well as their families, and for this reason we offer our services to all potential clients on a contingency fee basis, meaning you will not have to pay for our attorney’s fees, court costs, or any other expense related to the personal injury process until such time that a successful recovery is made. No recovery, no cost to you or your family. Call us today for a free and confidential consultation, you do not have to pursue your Personal Injury Claim alone. Our firm has successfully handled all manner of personal injury claims for clients and their families in towns across Morris County and Sussex County. 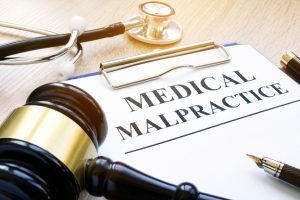 If you or a loved one has been injured in any kind of accident caused by the reckless or negligent actions of another party, you may be able to recover compensation for your injuries and related damages through a personal injury claim. 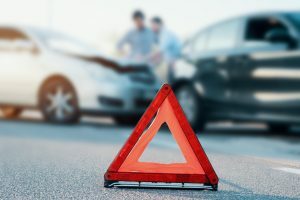 While insurance companies and other personal injury law firms may approach injury claims purely from a bottom-line standpoint, at The Law Offices of Michael P. Burakoff, we recognize the very real situations and real difficulties that families have to cope with when dealing with any kind of accident and injury. We have dedicated our practice to securing full and fair compensation for our clients while still keeping in mind their own unique needs and concerns throughout the recovery process, and finding solutions which take all of these critical factors into account. Attorney Michael P. Burakoff has been a practicing personal injury lawyer since 1976. With multiple million dollar recoveries, a dedication to delivering on his promises and working closely with his clients as well as their families, Michael Burakoff is ready to provide you with the personal injury counsel that you need and deserve today. If you or a loved one has been injured or suffered a wrongful death in any kind of accident resulting from the reckless, careless, or negligent actions of another party, our firm is ready to provide you with the knowledgeable, effective, and highly attentive legal service that you and your family need and deserve. Having already secured successful settlements and verdicts for clients across New Jersey, Morris County, Sussex County, and neighboring towns and communities such as Newton, Netcong, Dover, Hopatcong, Mt. Olive, Rockaway, Parsippany, East Hanover, and Morristown, Michael Burakoff and our legal team is ideally suited to helping you and your family to handle whatever personal injury matter you may be facing. To schedule your free and confidential consultation regarding your accident and injuries, your options for making a personal injury recovery, and how exactly we can help you to do so, please contact us online, or through our Morristown office or our Newton office at (973) 520-0525.